Auditions are a fact of life for the dancer. They are your chance to show your skills and talent to a panel of judges. Whether you are auditioning for college, a dance company, or an entertainment position, they can feel overwhelming to prepare for. Here are some tips to help get you on the right track. Take dance classes in different styles consistently. During your classes, take your training seriously so that your technique is in peak form. Perform each combination in class to its fullest potential and take corrections in stride, employing them immediately. This will help condition your body and mind to the rigors of the audition world. Know what style of dance you excel in, and then try something completely different. You never know when a choreographer is going to throw some ballet into a hip-hop routine these days. Versatility is a sought after quality in a dancer. It also helps to take new classes regularly; that way you are continually testing your mental ability to pick up choreography quickly. Be informed about what you are auditioning for. Are you auditioning for a Swan Lake role, or a music video backup dancer? Learn as much as you can about the role or company you are auditioning for beforehand. Find out if there is a fee to audition and be sure to bring it with you. Then, find out if you need to bring or submit any documents. If the audition requires a resume and headshot, start to prepare the required documents. Make sure your resume highlights your strengths and recent accomplishments, and includes your name and phone number. Also be sure to mention where you have trained, who you have studied with, and performance experience. Your headshot should be a professional photograph. Some auditions may also require a full body photo. They may require you to apply and send this information in advance; others may want you to bring printed copies that they can keep. Become a stronger dancer by cross training. Increase your cardio health through running, biking, or swimming. Lift weights to increase your strength for partner work. Do yoga or Pilates to stretch, strengthen your core, and focus your mind. Be patient to find what works for you. This will help you get through a long audition. Cross training also keeps you in physically good shape, so that the judges are seeing your best self when you audition. Get plenty of sleep in the week and night prior to your audition. Maintain a plentiful and balanced diet. Focus on eating whole foods rather than processed foods as much as possible, especially the night before and day of the audition. Have a good, healthy, and filling meal the night before your audition, but don’t overdo it. Eat a light meal an hour or so prior to your audition. This is very important so that you can function to your highest ability when auditioning. Drink plenty of water regularly. Be smart about knowing what you are auditioning for. A ballet role is going to want to see you in leotard, tights, ballet slippers, or pointe shoes. A hip-hop role will allow you to express your personality through your outfit. If appropriate, wear something that helps you stand out in the crowd. Be edgy, but, keep it clean and neat. Inquire if you have any questions about the dress code. Bring the correct dance shoes as well. This may mean choreographing a short solo piece, participating in a group class, or performing an improvisation. Find out if the audition will require a solo, and prepare by choreographing in advance. You can choreograph it yourself or have someone else choreograph it on you if you are more comfortable with that. Make sure your choreography suits the style of the audition and also shows off your technique and artistic ability. Practice your solo regularly. This also means to bring back up supplies such as hair bands, bobby pins, band-aids, extra water, other dance shoes, knee pads, or anything else you think you might need. Give yourself time to check-in and warm up. A good, thorough warm up is essential to any dancer being able to perform at their best. Take time to center yourself, stretch, and move, even if they are giving you a warm up in the audition. This time will also help orient you to the studio space. If you start to feel nervous, take a few deep, slow breaths to calm yourself down. Remain lighthearted and natural if you begin to feel nervous at all. Channel your nerves into enthusiasm for the choreography. 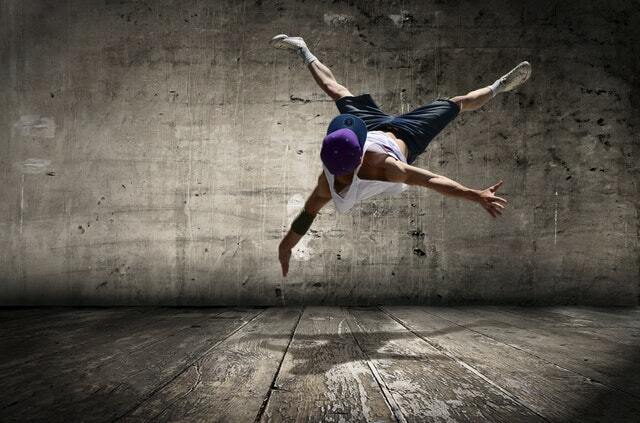 The more you can allow your talent to shine through your dancing ability, the closer you will be to landing the job! Be there for yourself and your desire for the job. There is no need to compare yourself to others, so leave your judgment at the door. Be optimistic in the time leading up to the audition and bring that passion into the studio with you. Be yourself, relax, and have faith in your abilities. When the time comes to audition, focus your mind on the present moment rather than what the results will be. Auditioning is a skill that should be practiced often and will improve over time. Remember to learn what you can from both good and bad audition experiences. Remain hopeful in yourself and dedicated to your craft to continuing growing as a dancer and performer. Following these tips to prepare for a dance audition will give you the confidence you need to succeed. And remember…you have already done most of the work through your training!